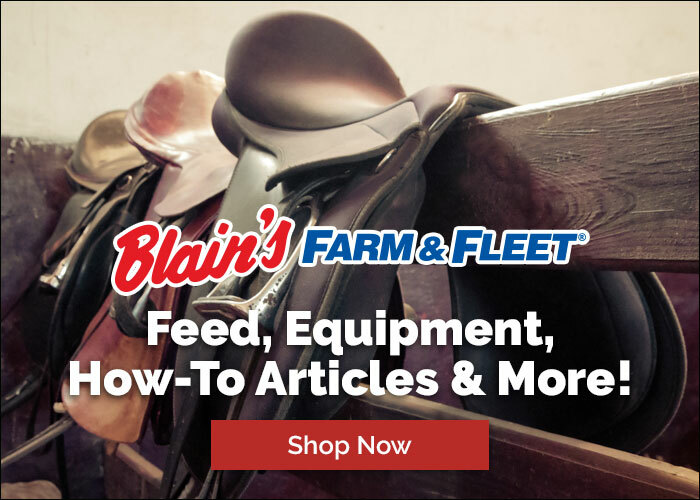 To inspire excellence through education within the farrier industry. 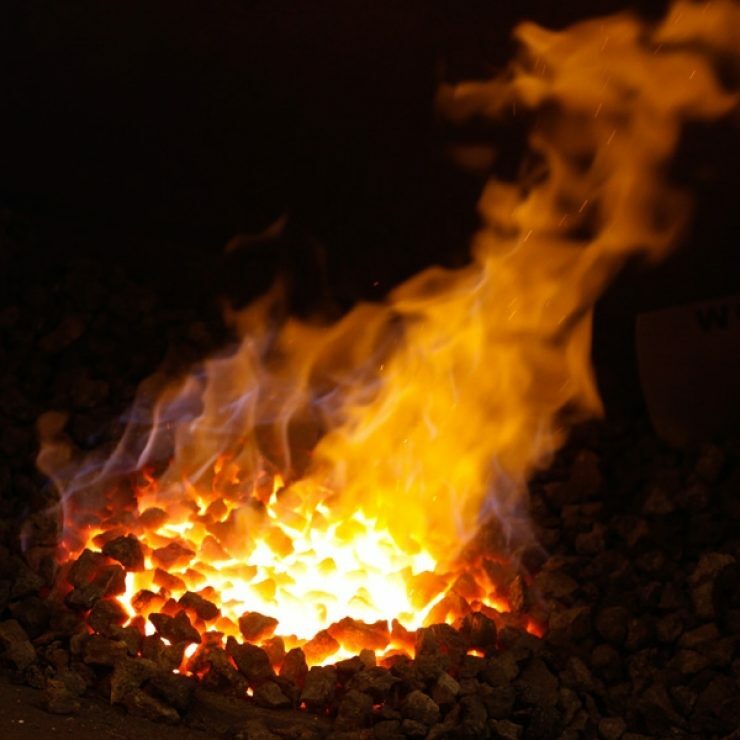 Blacksmithing dates back thousands of years to the Iron Age. The practice that started with ancient men making spear tips and crude tools developed into a sophisticated art and lent itself to the early horseman when horseshoes were first fashioned. 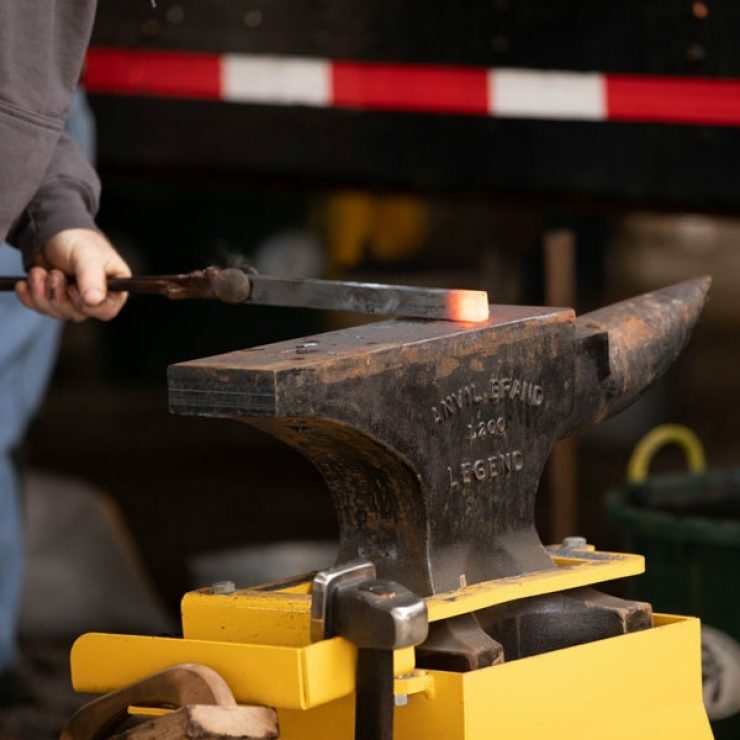 For centuries, blacksmiths have created and repaired farm implements, crafted ornamental work, and forged countless horseshoes. This art requires practice, skill, and discipline. Who can handle the heat, the pressure, and the stage to shape the best horseshoe and eventually emerge as the World Champion Blacksmith? All competitors have a history of horseshoeing, whether as a business owner, an employee of the trade, or a graduate of a horseshoeing school. 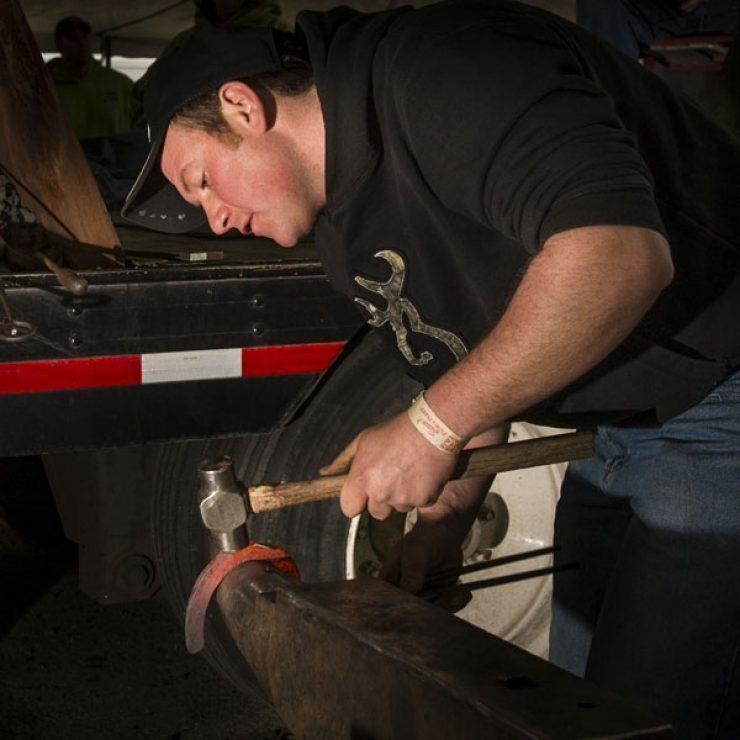 Competitors will hastily forge horseshoes from a stock piece of steel to the judge’s specifications during timed events. Each of the classes are scored, and points are awarded to the winners as they craft their way to a spot in the heated National Championship. This fiery competition will close with a live shoeing class! Both the anvil and the stand it sits on weigh 200 pounds a piece, making a solid 400 pound unit to beat steel on. Each forge is fueled by coke. They have a blower motor attached to keep the coke lit and and an air gate to control the size of the fire. Bi-product of coal, used as fuel in the fire. Needs large amount of air to burn. A length of steel from which blacksmiths forge horseshoes. The blacksmith's assistant, traditionally an apprentice, whose job is to use brute force to help his partner. The striker works the fire for the competitor, swings the sledge hammer, and assists with a brush and file. The black compound that you'll see the competitors dipping their tools in throughout the competition. Prevents their tools from sticking to the project. A tab drawn with a hammer from metal at either the toe or the side of a horseshoe, used to keep the shoe from sliding on the hoof. Large, coarse file used for smoothing a horse’s hooves and filing steel. Using a rasp to finish and shape the edges while the steel is hot. The only allowable method for finishing edges. Files and rasps are not allowed in competition.